WHAT: On Friday, February 1, 2019 at 11:00 a.m. 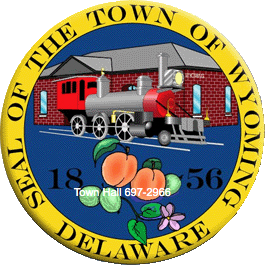 ET, WSFS Bank representatives will formally donate its former Wyoming banking office to the people and Town of Wyoming, in a key handing ceremony that will be attended by Wyoming Mayor Frankie Dale Rife, and members of the Town Council and the local community. The Mayor will receive the donation on behalf of the Town. This will be WSFS’ second property donation in recent years to benefit the local community. In 2015, WSFS was proud to donate a property and house to the Central Delaware Habitat for Humanity that sits on an adjacent lot to the former branch building. The house was renovated in 2018 with the help of the local community and WSFS volunteers and an $8,000 donation from WSFS Bank. WHO: WSFS Bank representatives will hand the key of its former Wyoming banking office to the Town of Wyoming Mayor Frankie Dale Rife in a formal donation presentation to the people and Town of Wyoming.